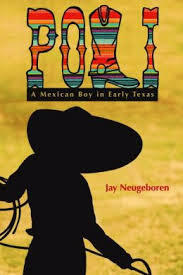 This fictionalized biography focuses on Poli’s time growing into adulthood on what was then the Mexican-US border. Neugeborn admits that he took “imaginative liberties” by “inventing dialogue and characters here and there, shifting and/or combining some elements for dramatic or narrative ends.” But underneath those creative flourishes lies the factual structure of the events of Poli’s childhood – years in which he increasingly became aware of the economic impoverishment of Mexico; the genocidal policies and practices leveraged against the Comanche nation by the US; the brutal enslavement of African-Americans in the US; and the political, cultural, and historical disagreements (to put it mildly) between the many people who were trying to live in the contested frontier region. This is not to make it sound as though the book is wholly depressing! Interspersed throughout the serious reflections are small, lighter observations about Poli’s life, including his preference for the Mexican fruit chictzapotl or the chocolate drink atole. In 1994 the United States launched Operation Gatekeeper, effectively militarizing the US-Mexico border. Within three years, agents strapped with M4 rifles and .40 caliber submachine guns patrolled their newly-installed fences 24 hours a day. The INS budget and the size of the Border Patrol doubled during the same period and the easiest routes north were sealed. Policymakers envisioned human action in economic terms, expecting that people would make a “cost-benefit decision” before deciding to journey across more dangerous terrain. 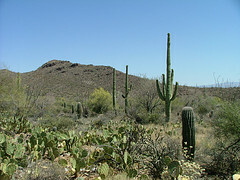 They believed that no rational actor would assume the “cost” of crossing Arizona’s Sonora Desert in the summertime.